cwsupport: Looking good here! Audio has a little fuzz though. Rusty 65: Sing it you sultry siren!! Rusty 65: Gosh you rock, but you have to fine tune that audio please. Forge Recording is the Philadelphia area’s premier source for audio and video production, CD and DVD duplication, band rehearsal rooms, engineering and music lessons, and much, much more. 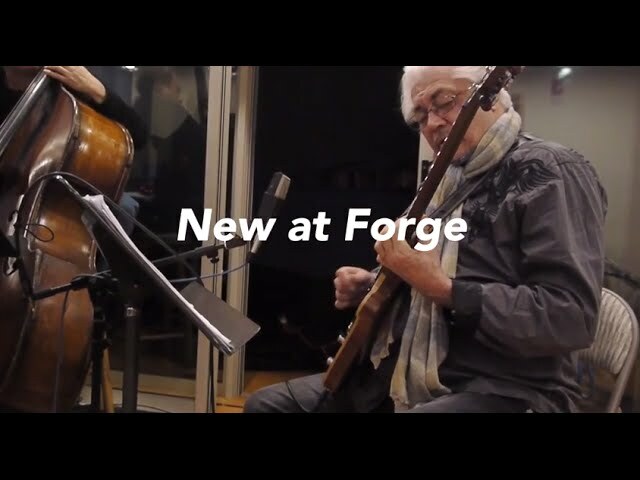 Founded in 1978, Forge Recording has served thousands of musicians and businesses throughout the Delaware Valley. In 2003 the company built a world-class headquarters in Oreland, PA. Designed by the Walters-Storyk Design Group (Electric Lady Studios, Jazz at Lincoln Center), the 7000 square foot facility houses acoustically tuned live, control and iso rooms, production studios, video suite, client lounges, CD duplication plant, and administrative offices. To provide artists of all levels the creative tools to succeed in their pursuits, the company opened The Academy at Forge Recording in 2014. This newly renovated 2,000 square foot campus has four modern rehearsal rooms, a second studio and a client lounge, providing the ultimate environment to learn, rehearse, record and succeed. Under the direction of producer/engineer/musician Ron DiSilvestro, the studio has received accolades from delighted clients. Brendan McGeehan, an accomplished composer, arranger, musician and educator, leads the artist development and instruction activities at The Academy. Together, along with an extensive network of industry professional, they have established an impressive reputation for excellence. Contact us to book a session, schedule a tour, or discuss your next project. We look forward to hearing from you.